The metacarpals are the bones in the palm/back of your hands. 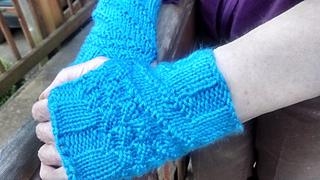 And that’s the part of the body these mitts cover! 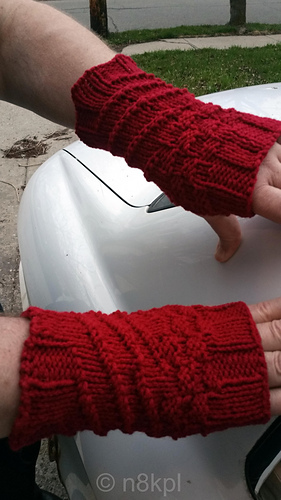 My dad and I both have cold hands all the time, so I made us matching handwarmers. 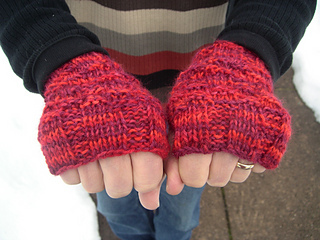 He has larger hands than I do; thus, this pattern comes in two sizes (made by using yarn in two different gauges). Medium: (fits most women and some men) approximately 7” around, 5”–6” length. 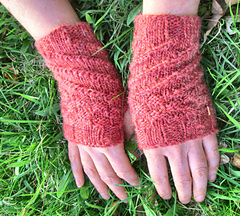 These use size 5 needles with gauge of 5 st/in in stockinette. Large: (fits most dads) approximately 7.5” around, 6.5”–7.5” length. 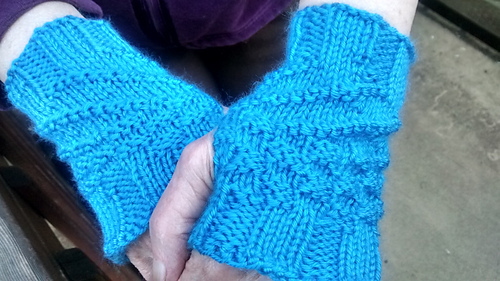 These use size 7 needles with gauge of 4.5 st/in in stockinette. 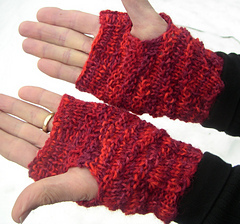 Techniques needed: casting on, binding off, knitting, purling, make-1 increase, knit two together decrease, purl two together decrease.